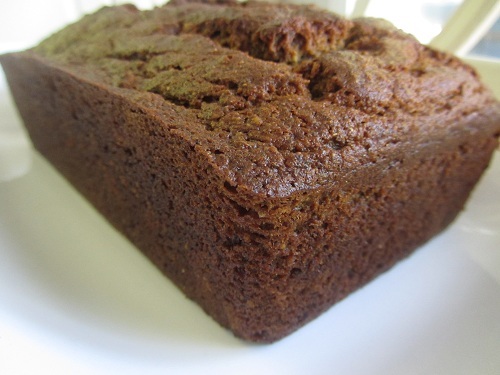 Healthy Banana Bread is a staple in our home. Bananas are a healthy diet habit, but often end up ripening quicker than we can eat them. No problem! I simply remove the skins and place them in my freezer to be used at a later date. 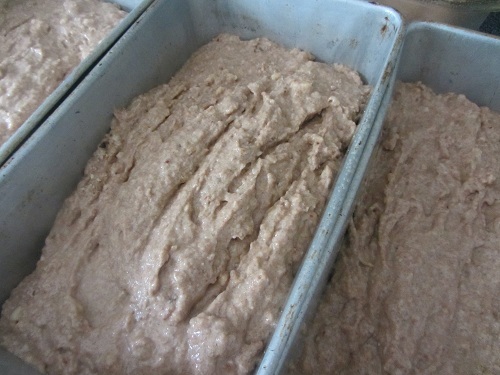 This recipe makes two loaves and I usually freeze one loaf for later. Often it disappears so quickly that it does not happen though! I love eating fruit breads for breakfast. I am careful about what I eat, but allowing myself this treat, every now and again, helps me keep my eating under control without feeling deprivation. Healthy eating does not mean you must give up all the foods you love. 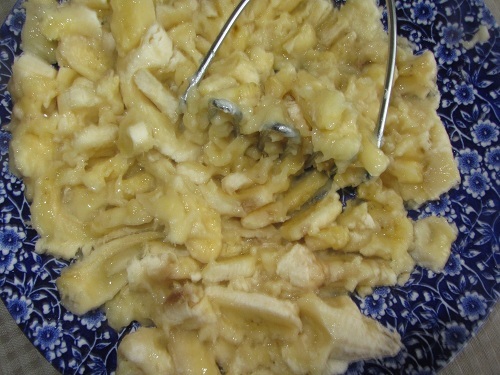 Mix together sugar, butter, applesauce, and eggs. Add mashed bananas and mix together. Add dry ingredients together in a separate bowl. Add the wet ingredients to the dry ingredients and gently mix them together. Bake in a preheated 350 degree oven for 1 hour or until a toothpick inserted comes out cleanly. Cool for 10 minutes and remove from pans and cool on a rack. 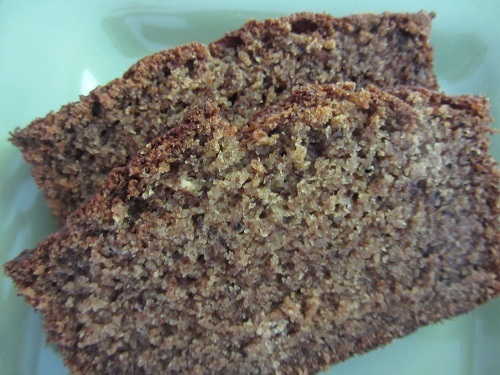 The original recipe for this banana bread was from my mom and I am not sure where she got it, but I have used it for years. I have lightened it by reducing the fat by half and adding applesauce. The original recipe called for salad oil or melted shortening. I usually use either melted butter, or melted coconut oil as they are better fat choices. 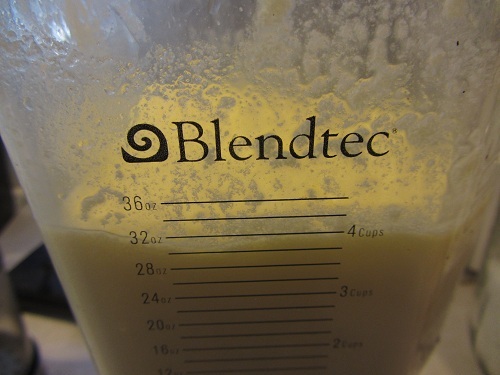 Coconut oil can be hard to mix in to your ingredients, so I often throw the first 5 ingredients into my Blendtec blender, which I highly recommend, and it mixes everything together nicely! I also changed the flour to whole wheat pastry flour and have always had success with this substitution in fruit bread recipes! Scratch baking and including healthy recipes can allow you to indulge in some old favorites like banana bread! 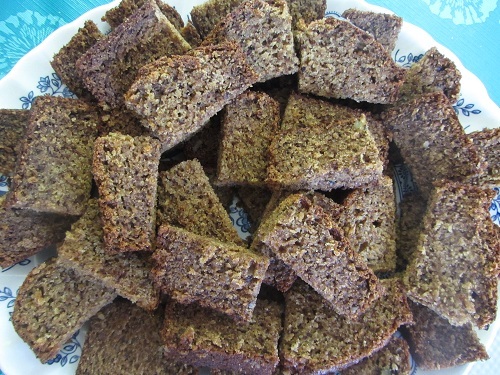 Healthy Serving Sizes of Banana Bread for an Event!